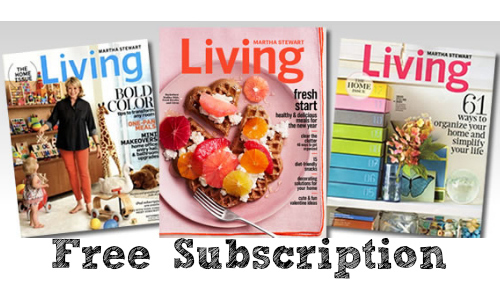 If you’re a fan of Martha Stewart, fill out this short survey to sign up for a FREE subscription to the Martha Stewart Living magazine. To get this great offer, you’ll have to join Rewards Gold (don’t worry it’s FREE), refer your friends, and then fill out a simple survey. You will be asked to fill out a survey for the Martha Stewart Living offer. At no time will you need to enter in any sort of payment information. Keep saying no thanks and skip all the extra offers.